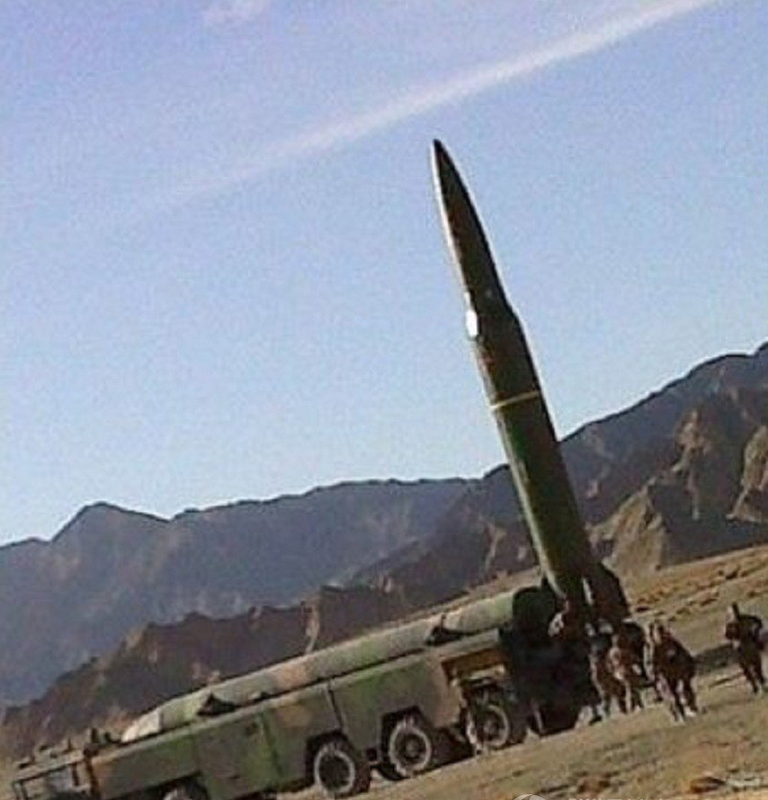 Looks like more DF-16 pictures have made it online. And they have some funky reentry vehicles that look a whole lot like the DF-15. Overall, this new shot shows off that the DF-16 has between 3 and 4 RV options, 2 of which appear to have terminal guidance options. 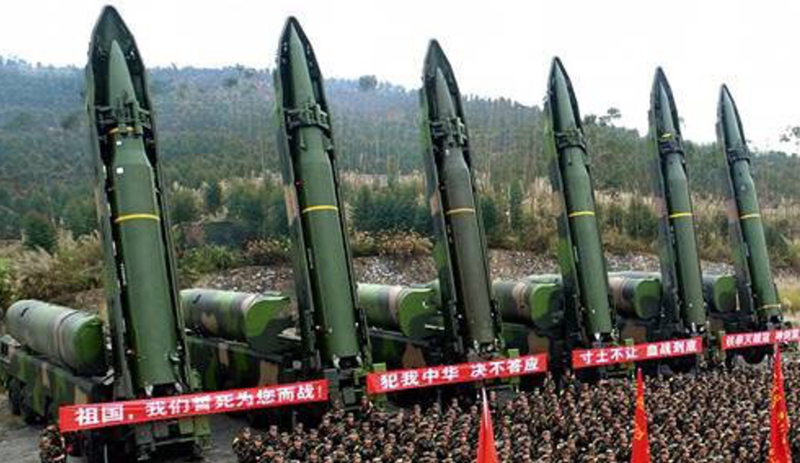 Its not clear if the DF-16 RVs are more meant for precision strikes and BMD avoidance, as is the case with the DF-15 family, or if the maneuverable reentry vehicles are an addition to the growing anti-ship ballistic arsenal. These RVs may be common between the DF-15 and DF-16 systems, though further measurements are needed for any sort of confidence in this assertion. I’m not sure of the actual origin source yet, but the staging and set up is consistent with official/state media releases. 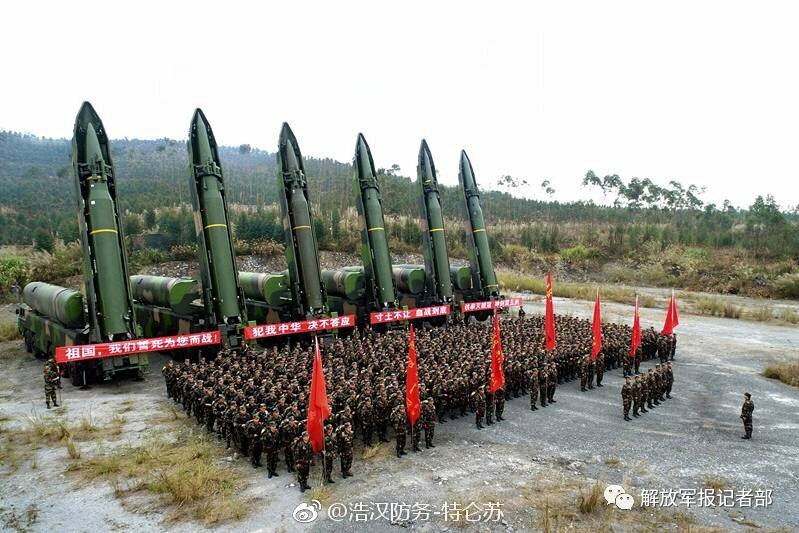 The picture came to me via twitter users Henri Kenhmann and Xu Tianran, both of whom I highly recommend for readers interested in military hardware imagery and analysis. 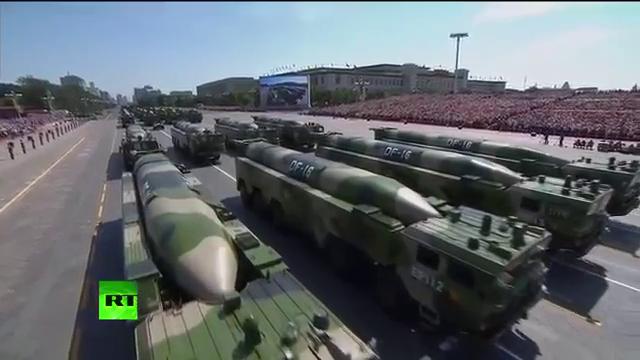 But this is the largest group of DF-16s I’ve seen in one place since the 2015 parade. 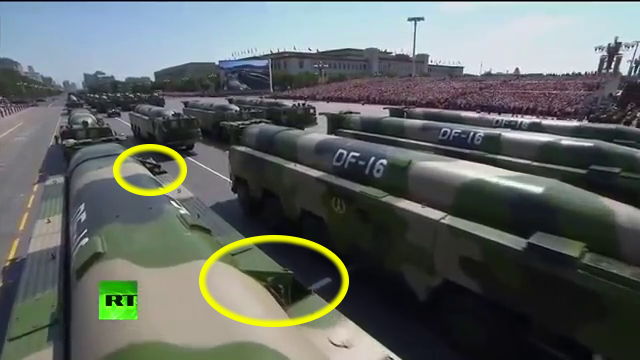 But, unlike the parade, this shot has the transporter case opened up and the missiles elevated. 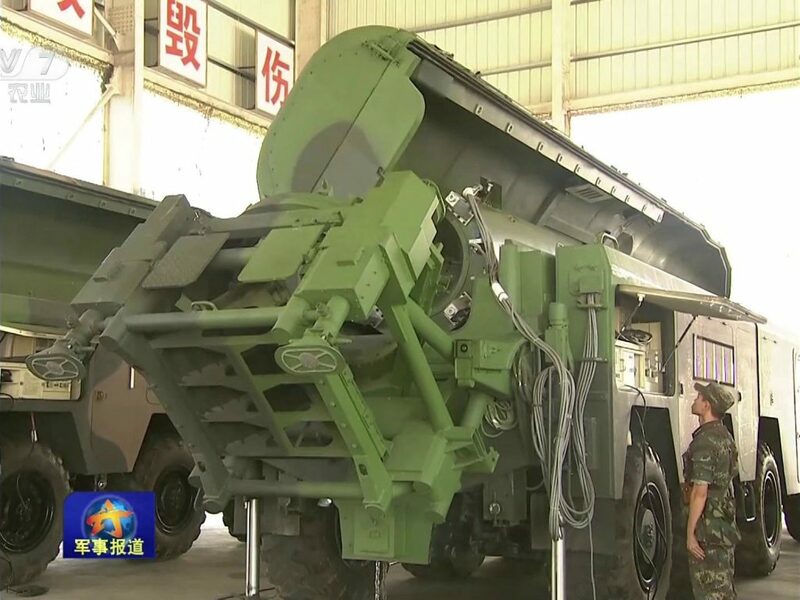 This is the first time I’ve seen the coffin-type erector arms on a Chinese system though. Jump to the bottom of this post. if you’re interested in a brief history of DF-16 images. Otherwise, let’s check out the new imagery. There are between 3 and 4 RV types pictured, and between 1 and 3 booster types pictured. I’m a lot more skeptical of there being multiple boosters and lean more towards the booster differences coming from just paint jobs and maybe the boosters originating from different batches. Here the red boxes highlight the ogive RV and the purple boxes highlight the finned biconic design. Green boxes denote where the lifting arm has additional supports on the bottom of the securing mechanism, possibly because the ogive RV is very slightly thinner than the finned biconic design. Its difficult to tell due to the angle. I’m fairly inaccurate with precise mensuration, so I try to avoid direct measurements. Hopefully a reader can submit suggested sizes. These designs mirror the ogive and finned biconic designs of the DF-15A and DF-15B RVs, respectively. Keep this in mind, its going to come back later. The slight green brackets are meant to show the distance between the tip of the RV and the end of the coffin-arm. Red boxes highlight a white marker commonly seen on DF-16 ogive RVs, while the purple ones highlight the fins on the biconics. Fins usually indicate one of three things: general stability, active roll control for upper stages during boost phase, or maneuverability with terminal guidance. It can be all of these, but they are listed in order of complexity. 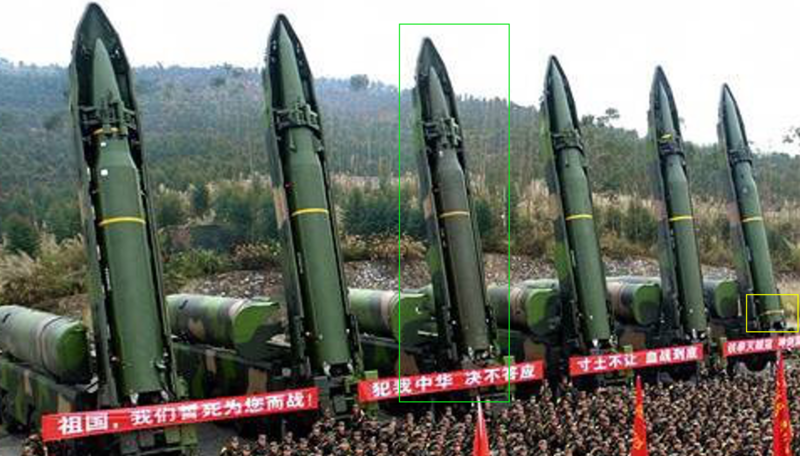 The DF-21D is advertised as having this function, the DF-26 appears to have this as an option (an article on that imagery later), and the DF-15B has fins that are visually almost identical to the Pershing II’s terminal guidance fins. 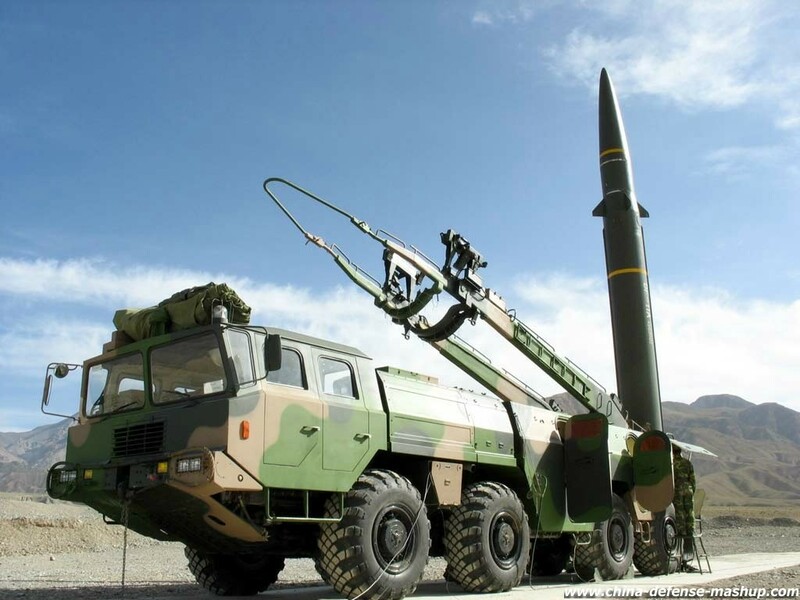 The DF-11 has fins, but I have never been able to confirm if they serve an actual active guidance/corrective function. Ogive. Denoted by its rounded shape, the significant volume between its tip and the end of its container, and the extra support on the securing mechanism. Missiles 2, 3, and 6 appear to be Type 2 RVs. Missiles 1 and 3 appear to be Type 1, though there are some irregularities. There is not an apparent yellow stripe around the circumference of Missile 3, and Missile 3’s RV appears disproportionately smaller to Missile 1’s RV than Missile 4 and Missile 2, despite the distance between 4 and 2 being larger. Again, I am not the best an mensuration though, and this could be an artifact of the shadows and low resolution. But I’ll keep the data point that there is a possible fourth RV type, the very-slightly-smaller ogive. Only missile 5 has the Type 3 RV. The boosters are more consistent. The only significant variations are that boosters 1 and 6 have small white sections, booster 6 has an additional yellow circumference stripe, and, most notably, booster 3 (and its RV) is a totally different shade of green than the other boosters. It is not clear that this actually has any relevance to the performance of the missile, though the differing coloration could indicate that the missile is from a different production batch than the others. The RVs are the main event in this image. These 3 (or 4?) RV types are interesting not only because they indicate a multi-role missile (as expected) but because they look a lot like the DF-15A and B RVs. 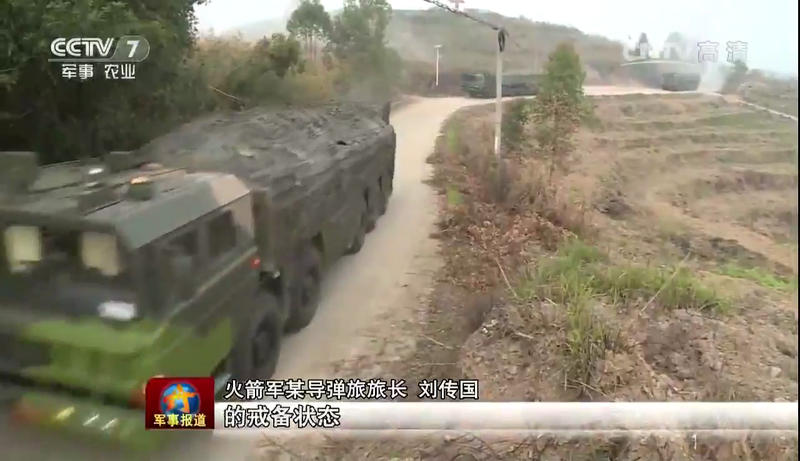 The DF-16 diameter is supposed to be a few tenths of a meter larger than the DF-15, and the DF-16s RVs appear to be slightly smaller in diameter than the DF-16 booster. I’d be curious if some of the RV types shown off in the official pictures are common between the DF-15 and DF-16 systems, or if perhaps DF-15 RVs were used in the testing of DF-16 boosters. This could explain why the Type 3 RV appears to just be a scaled down Type 2, because it may be sourced from the DF-15B. The possible Type 4 could be the same from the DF-15A, but this is very speculative until very solid measurements are produced. I have similar suspicions for RV commonalities between the DF-21 and 26 systems (though different enough to warrant a separate post later). Henri Kenhmann has suggested that one of the finned RVs may be common to the DF-21C, which is an interesting idea worth looking into. 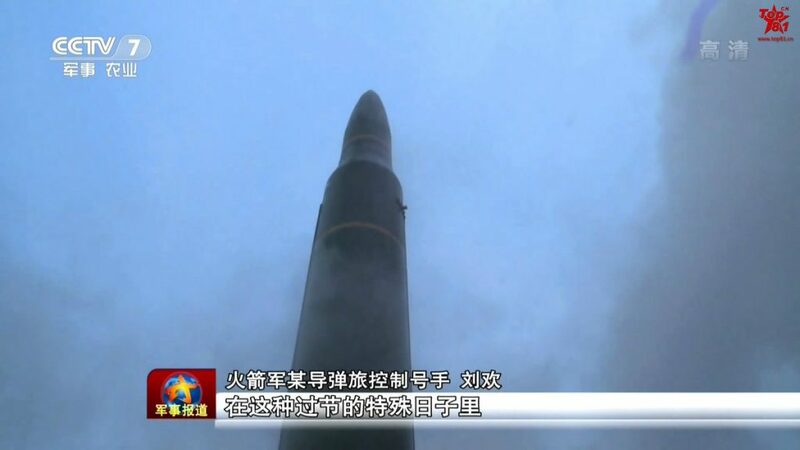 There have mainly been three kinds of DF-16 shots: sketchy Weibo/Tiexue shots of the missile itself, good parade shots of the TEL, and decent enough state TV shots of the TEL and missile body. We knew it had a coffin-style cover from earlier images and videos, though the new image posted today revealed what Xu jokingly referred to as a Dracula style lifting arm. This half-shell/coffin-bed lifting mechanism is curious, I can’t think of an identical arm on any other system. The 1960s and 1970s were an exciting time for Russian experimentation with TEL design, so maybe something from the era of the RT-15 may end up being similar. 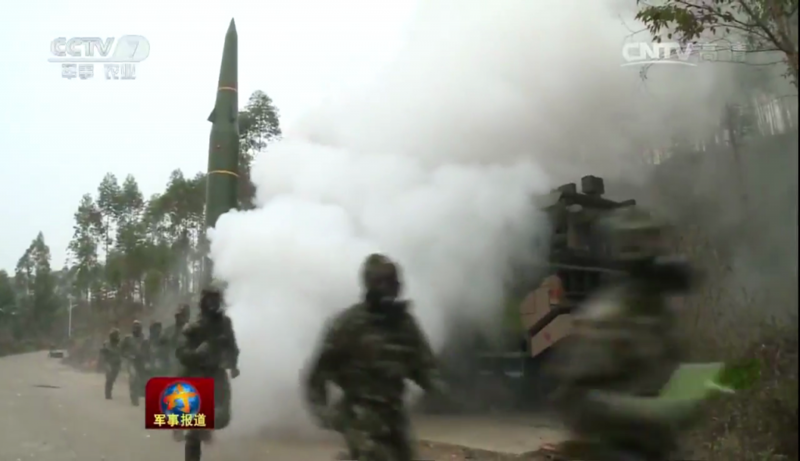 We’ve seen videos of the DF-16 before (also posted on Henri Kenhmann’s excellent and comprehensive youtube channel). This video always frustrated me, because it starts with the 5 axle TEL I’d expect, shows off the ogive RV, and then pulled a bait-and-switch with a DF-11 (I thought, incorrectly). WHAT HAPPENS WHEN WE ASSUME, LAFOY? 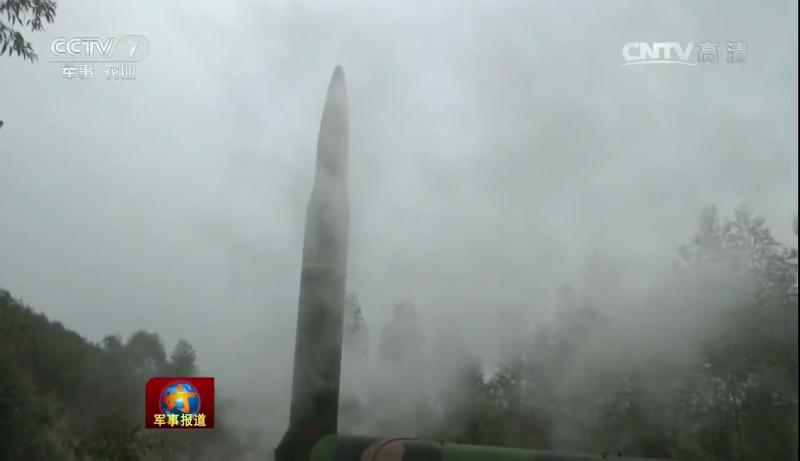 I assumed it was painted up like a DF-16, because that paint scheme is common across PRC missiles and there are fairly prominent photos of the DF-11 in that paint scheme. Had I been paying attention to the RV geometry, I would’ve caught the new RV. I guess I am weak to unintentional dazzle camouflage.